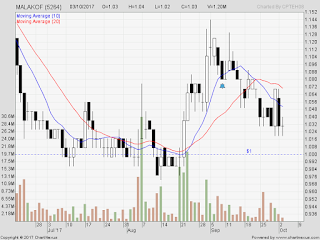 Malakof : Back to RM1 level to buy? KPJ : After adjustment of dividends and split, it is back to RM1 level, to consider. 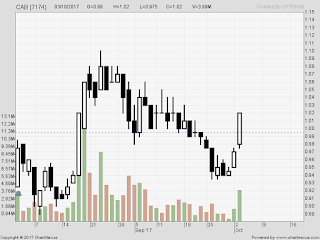 Mitra : buy at current with cut-loss RM1? 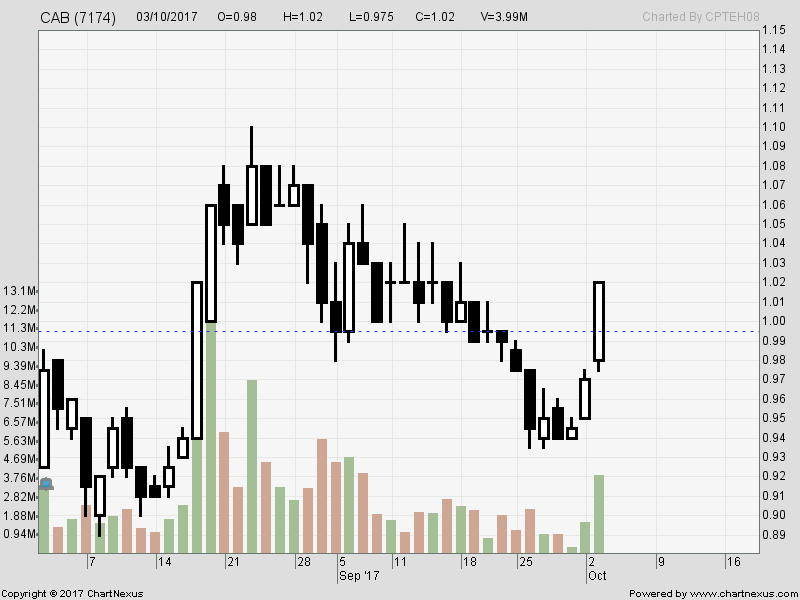 Mitra gapped down ... and from RM1.30 plus, it is reaching for RM1. VS-wa : At 1.07 now, also surged and breakout RM1 yesterday. 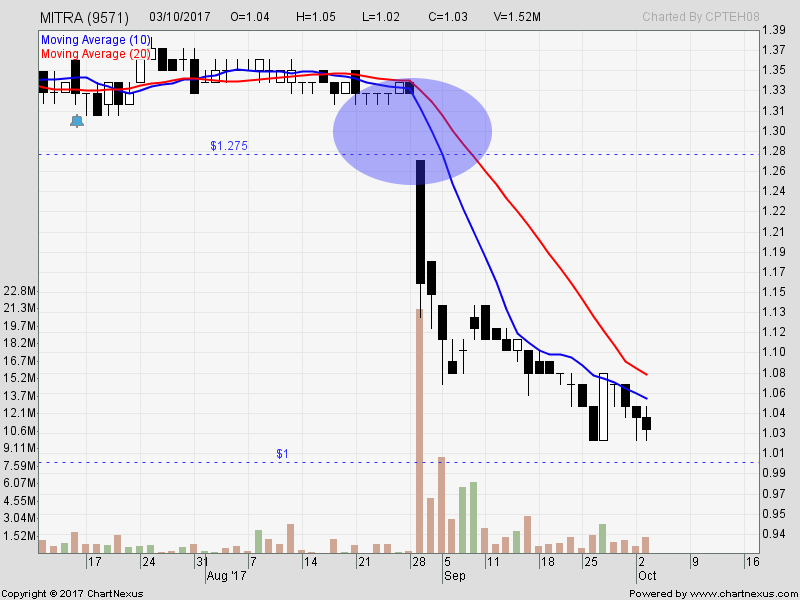 I m still holding some. 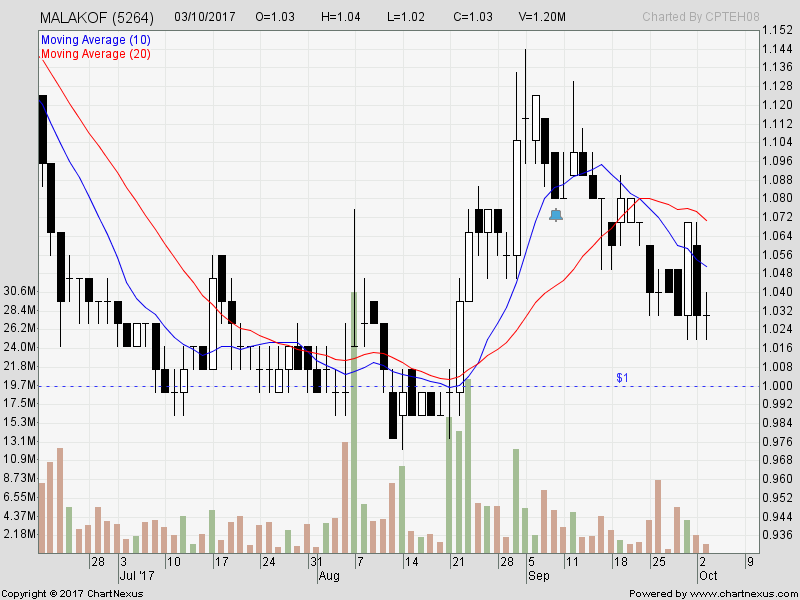 LayHong ... also moving bove RM1, after adjustment of prices. 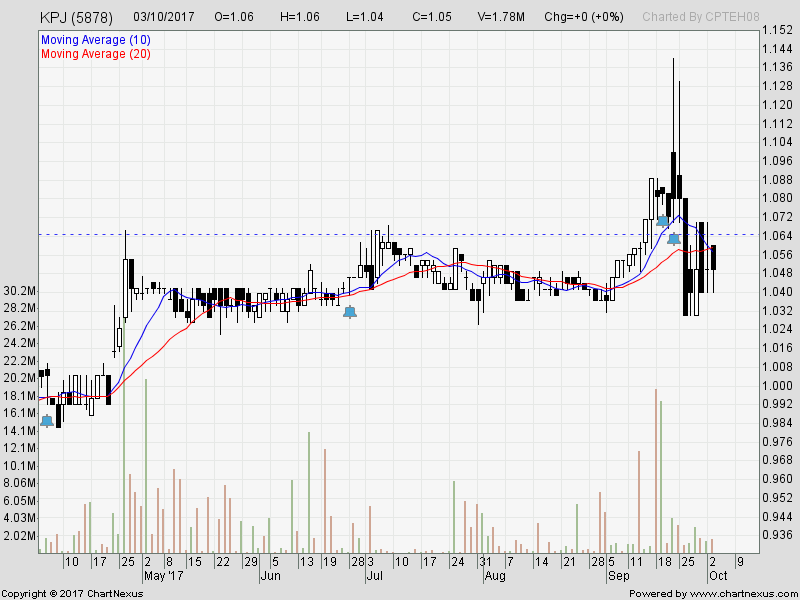 Which RM1 stocks do you like?